This page covers the vocabulary and language of rugby by looking at its background, equipment and people. 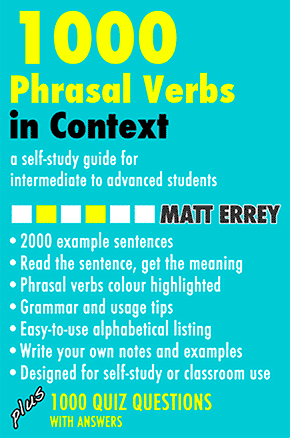 Check your understanding with the vocabulary quiz and comprehension quiz. In 1845, three boys at Rugby School in England published the rules of a game that had been played at their school for at least 100 years. They called it "rugby football" and all the modern forms of rugby developed from their game, including rugby league, touch rugby, rugby sevens, wheelchair rugby and rugby union, as well as other games such as American and Canadian football. While all the forms of rugby are popular, rugby union is the form of the game we will be looking at here. It is by far the best known, and its premier tournament, the Rugby World Cup, is one of the biggest sporting events in the world. Only football's FIFA World Cup and the Olympic Games are watched by more people than the Rugby World Cup. Many historians believe rugby developed from a game called "Cornish hurling" that was played in Cornwall, England, in the 17th and 18th centuries. In this game, the first team to get the ball to their "goal" was the winner, and there were very few rules and no referees. It was a wild and dangerous game, and rugby may have been created as a less-violent form of Cornish hurling, with rules and a referee, that upper-class boys in a school like Rugby could play without getting seriously hurt. After the boys at Rugby school published the rules of their game in 1845 it spread throughout England, and in 1871 clubs from all over the country met in London to form the Rugby Football Union. The game continued to develop until 1895, when a major dispute over payments to players led to the formation of a rival organization, the Northern Rugby Football Union. These two organizations competed for control of the game, but neither could win total control. 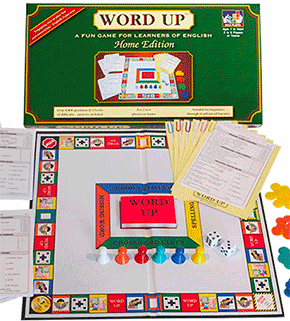 As a result, two forms of the game, or "codes", developed. One was run by the Rugby Football Union and called "rugby union", and players of this code couldn't earn money from the game (though rugby union players can earn money now). The other was run by the Northern Rugby Football Union and called "rugby league", and players of this code were allowed to earn money. These two codes have slightly different rules, with the most important differences being in the way play is continued after a player has been tackled, and in the number of players on each team; 15 for rugby union and 13 for rugby league. Both codes spread to many countries in the 20th century, and countries that now have strong rugby union teams include France, Australia, England, Ireland, New Zealand, Fiji, Canada, South Africa, Wales, Argentina, Italy, and Scotland. Football is a gentleman's game played by ruffians, and rugby is a ruffian's game played by gentlemen. This old British saying cleverly contrasts football (or soccer) with rugby. "Ruffian" is an old-fashioned word meaning a tough, violent, possibly criminal person. The saying shows the irony of the fact that a rough and dangerous game like rugby was played by polite, well-educated "gentlemen", while the much gentler and safer game of football was played by tough, lower-class men with a reputation for violence. Even today rugby players might seem to be very polite gentlemen when compared to many footballers, especially those seen swearing at referees and angrily abusing them when a decision goes against them. Some people might even say that this old British saying still applies today. Rugby union is usually played on a grass-covered pitch 100 metres long and 70 metres wide (see diagram below). Each team has 15 players and a game lasts for 80 minutes. The game is played with an oval-shaped ball that players can kick, run with, or pass to team-mates in order to score tries or kick goals. To score a try, worth five points, a player must carry the ball across the opposition's try line and ground it. His team's best kicker can then earn two more points for the conversion if he kicks the ball between the goalposts and over the crossbar. But scoring a try is not so easy. When an attacking team's players are running with the ball towards the try line, they are faced with a line of big, strong defenders who are experts at tackling. To get past these defenders, attacking players can pass the ball to each other until one of them finds a gap in the defence through which they can run to score a try. The ball can only be passed backwards or sideways, however; a forward pass is a foul that the referee should penalize. The ball is usually passed underarm (see above) and it should be thrown ahead of a running player so he can catch it without slowing down. Defenders can only tackle a player who is carrying the ball (see below). They cannot tackle, or even block, any other players. Blocking or tripping is a foul called obstruction. As soon as a player is tackled, he must pass the ball or let go of it. Any player from either team, including the player just tackled, can then pick up the ball and start a new attack by either passing it, kicking it, or running with it. Players can also form a pack over a loose ball, called a ruck, in order to push it towards the try line. A maul is similar to a ruck, but is formed around a standing player after he has been tackled but not taken to ground. When the ball comes out of a ruck or a maul, a new attack can begin. If the ball is within kicking distance, a player can score a field goal, also called a drop goal, worth 3 points by kicking the ball between the goalposts and over the crossbar with a drop kick. A goal worth 3 points can also be scored when a team is awarded a penalty kick. In this case the kicker can use either a drop kick or a place kick. Not all fouls are punished with a penalty kick, however; only the more serious ones like obstruction and dangerous play. For minor offences like a forward pass or a knock-on, a scrum can be awarded (see above). In a scrum, a team's eight forwards link arms, bend over and push against a similar group from the opposing team. A player from the non-offending team then throws the ball into the scrum and players try to gain possession of it by kicking it backward toward their own side. When it comes out of the scrum, it can be picked up and then passed, kicked, or carried forward to begin a new attack. Penalties are awarded by the referee, who controls the game with the help of two other officials called the touch judges. If a player commits a serious offence, the referee can caution him (yellow card) and the player has to go off for ten minutes, or send him off (red card) and the player has to go off for the rest of the game. If the ball goes out of the field of play (or into touch), a touch judge signals and play stops. The game restarts with a line-out (see right) in which two lines of players, one from each team, stand next to each other at right-angles to the touchline. The ball is then thrown in from the touchline, and the team that gets it can then begin a new attack. Unless the ball goes out of play, or a penalty is awarded, play continues without stopping until somebody scores. After a team scores, a player from the non-scoring team takes a drop kick from the middle of the halfway line to restart the game. Play continues until the referee signals the end of the match, with the team having scored the most points being the winner. The sport's most important tournament is The Rugby World Cup. It's held every four years and is one of the world's biggest sporting events. The winners are awarded the William Webb Ellis Cup, named after one of the three boys at Rugby School that you read about above. Since the first World Cup was won by New Zealand in 1987, 24 nations have competed in the event, with Australia winning in 1991, South Africa in 1995, Australia again in 1999, England in 2003, and South Africa again in 2007. One of the greatest sights in sporting history has to have been that of the huge body of New Zealand giant Jonah Lomu, ball tucked like a child's toy under an arm, as he raced towards the try line at the speed of an Olympic sprinter, with would-be tacklers, themselves huge men, helpless to stop him as they lay in his wake after having been fended off easily with a single straight-arm shove to the chest. Jonah was born in New Zealand in 1975, and by the age of 20 he was 1.97 m tall (6 ft 6 in) and weighed 119 kg (260 lb/18.7 st). And he could run 100 metres in 10.89 seconds! Rugby fans were amazed when he first came onto the international stage during the 1995 World Cup in South Africa. He scored seven tries in five matches, including four in the semi-final against England. In the 1999 Rugby World Cup he scored eight more tries, making a record total of fifteen World Cup tries, more than any other player had scored at the time. 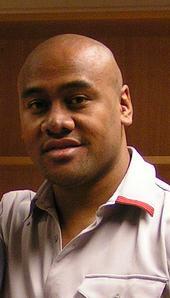 Jonah Lomu was inducted into the International Rugby Hall of Fame in 2007 and he will long be remembered as one of the most exciting rugby players of all time. obstruction The referee gave me a yellow card for obstruction so I had to go off for ten minutes. foul of obstructing a player by blocking, tripping, shirt-pulling, etc.